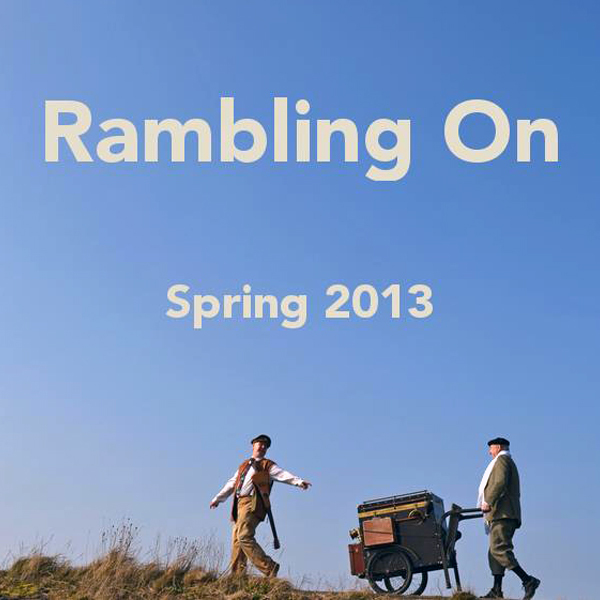 Rambling On sees two seasoned showmen, Gary Bridgens and Mike Bettison, tramping around the glorious North of England delivering a collection of songs, stunts and routines that explore the history and evolution of the ancient art of storytelling; from prehistoric cave paintings to the modern wonders of the internet and everything in between. 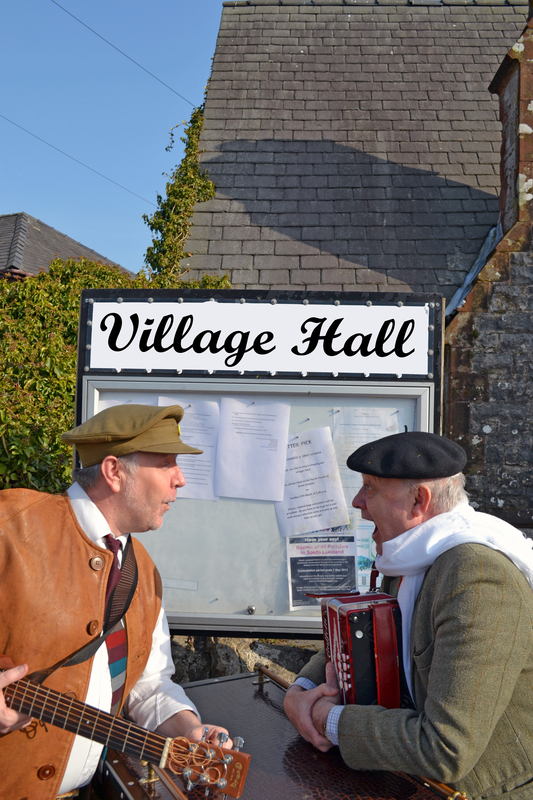 This is another al fresco adventure – shunting Dolly, our peripatetic perambulator of performance, once more delivering countless impromptu roadside performances before a grand show each evening, this time inside village halls. 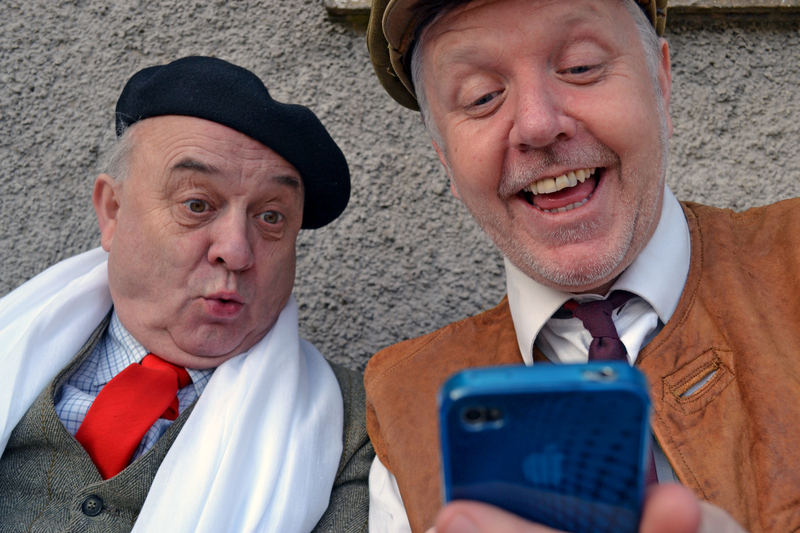 Cabaret, comedy, music and mayhem are guaranteed – assuming we don’t get lost, hospitalised, abducted or arrested along the way! 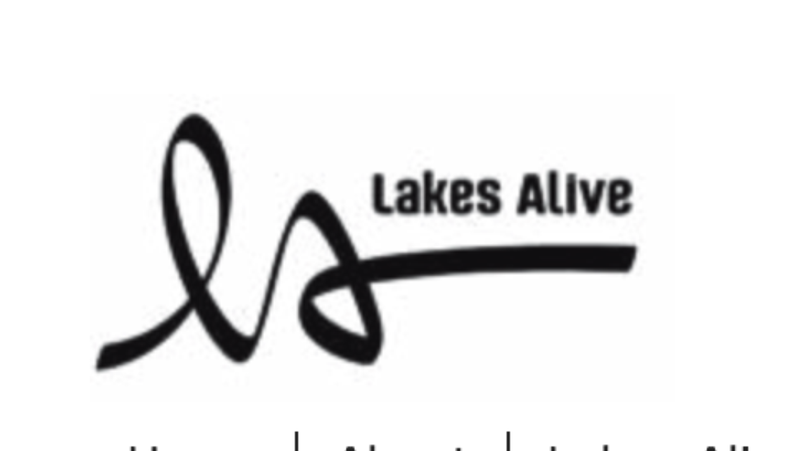 This is our second vagabond walking adventure after the 2011 commission from Lakes Alive. 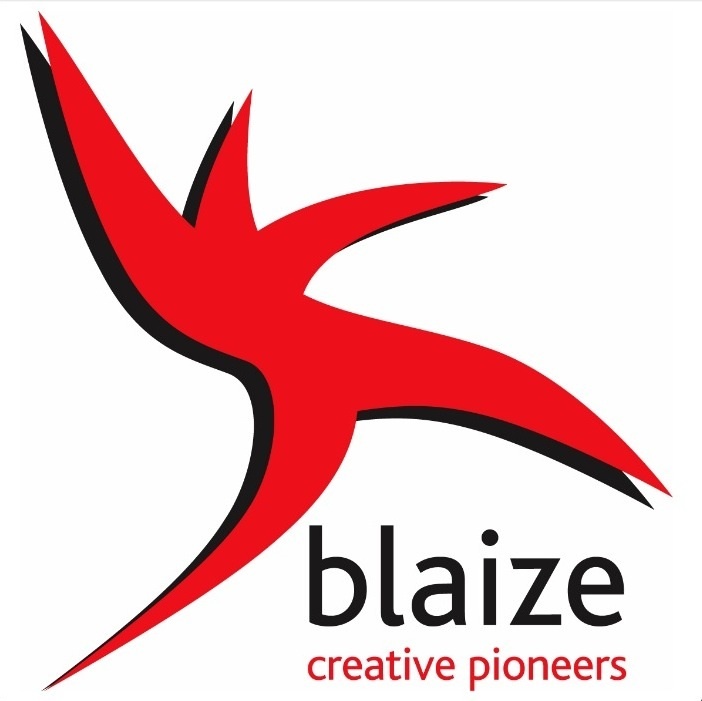 This time our partners are Blaize who specialise in rural village touring. 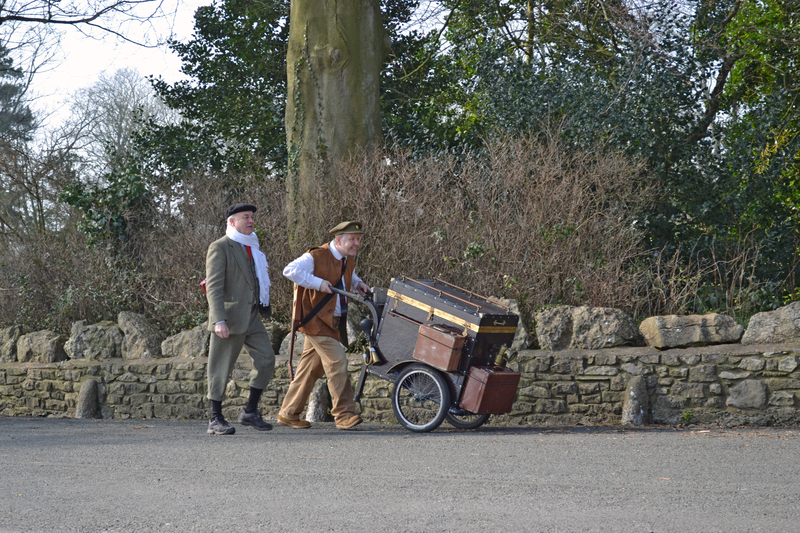 If you can’t join us at one of our live performances you can follow the whole adventure via via our blogs for daily updates, images and movies. Thanks to The Ashton Group for their donation of rehearsal space for this project. Glad to see the return of an old sausage to Homfirth after the statute of limitations has run it’s course. Hope to catch at least one show.